We wanted to give our client an elegant, modern twist on an Australian Icon – the Veranda. 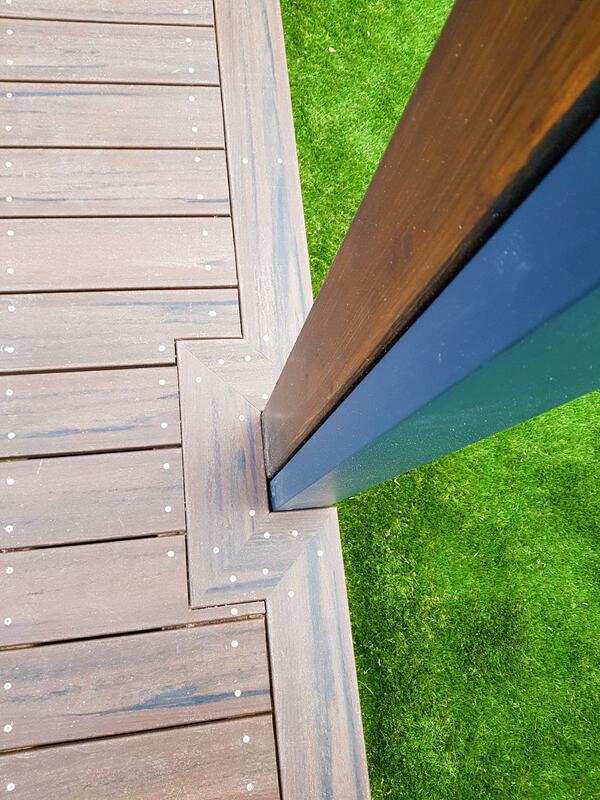 Before coming to us, the outdoor space wasn’t being utilised to its fullest extent, and one of the easiest ways to do that (and extract as much value out of your property as possible) is to build outward. We initially started by consulting with the customer on what they wanted from their custom Veranda. We conducted a survey of the working area, designed and produced the necessary foundations. After that, we consulted with our talented team of expert craftsmen on the timber solutions necessary for this project. Hardwood, as we recommended, ended up being a perfect material for this sort of project as it just gracefully extends the exterior of the house out nicely. 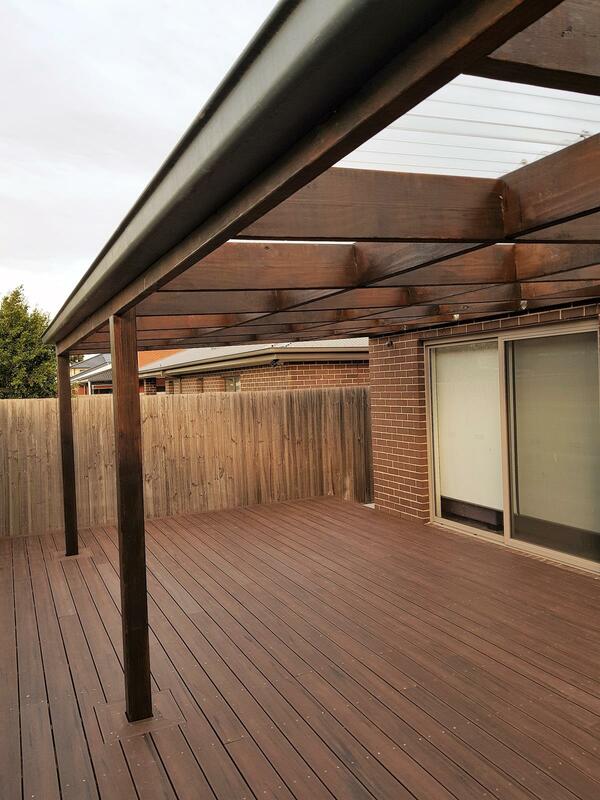 The obvious complement for the modern veranda is a pergola. 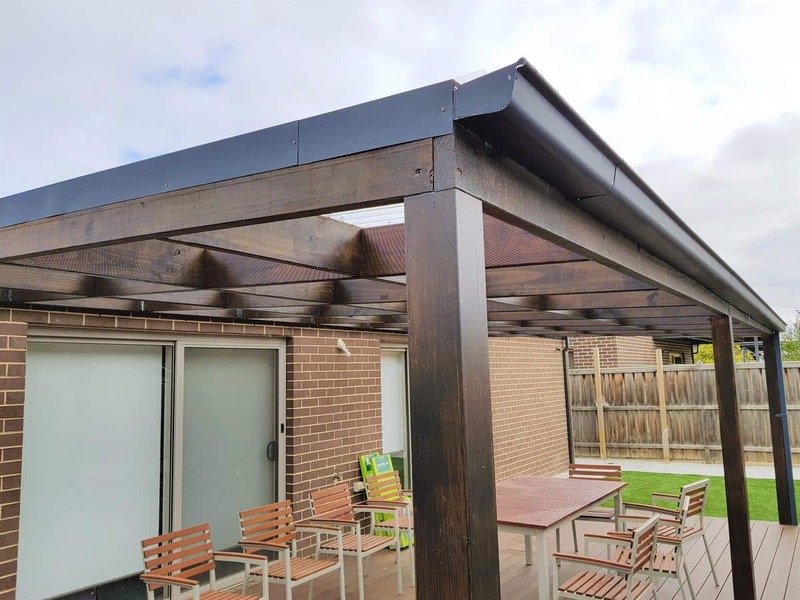 The brand new pergola provides a sleek shading option. It completely transform this space into a luxurious lounge area to eat, relax and unwind. 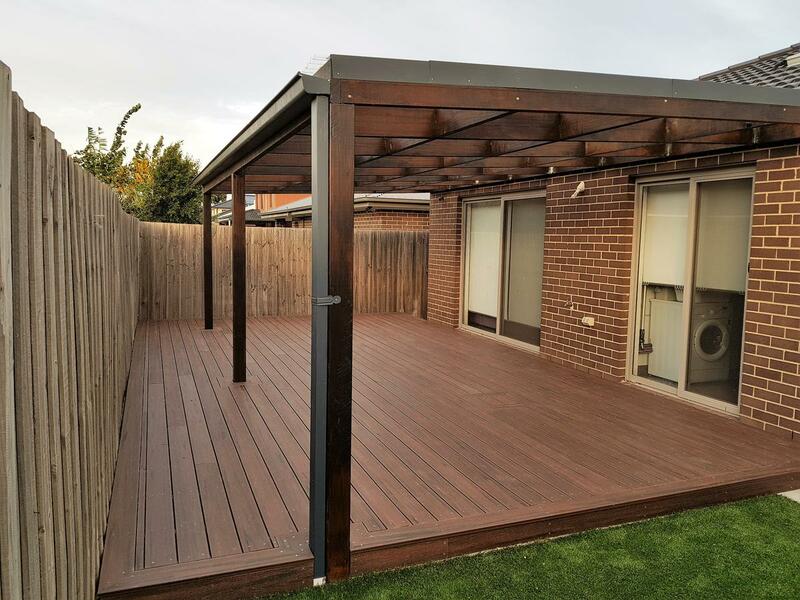 The result is a spacious and durable veranda that will stand proudly for years to come. It also completely rejuvenates the aesthetic of the backyard. The hardwood is rich and intense in colour and texture, and contrasts with the turf and pavement very nicely. 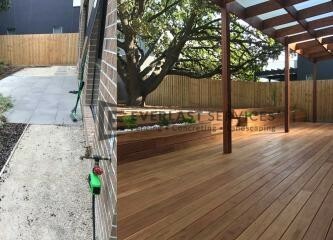 It’s a low maintenance option that will keep the deck looking as good as the day it was built for a long time. 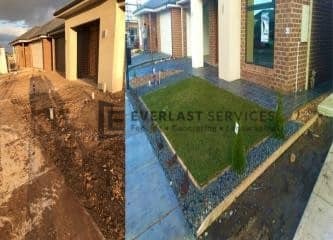 This was undoubtedly a complex project, but we more than welcome those at Everlast. We make sure to use only the highest-quality materials sourced from local suppliers with whom we’ve built decades long relationships. This ensures that we pass these savings onto the customer. We pride ourselves on being one of the most reasonable firms around. Our skills adds immense value to every property on which we work. 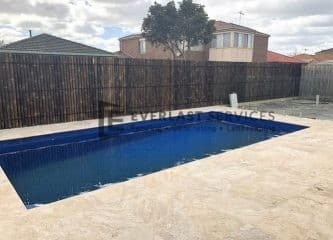 No matter what you’re after – an entertainment area, an outdoor lounge, or a place to wind down, or all three in one – Everlast Services can help you.